Dr. Keller, why are you doing this? I have always looked at practicing medicine as a privilege. When patients choose me as their primary care physician, I see my responsibility not only to diagnose and treat their medical problems but to really understand who they are as individuals. In my mind, this is the only way to truly practice effective and patient-centered medicine. In today’s healthcare environment, providing good primary care is virtually impossible. Insurance companies determine how doctors practice by their outdated payment models and their increasingly intrusive requirements. Physicians are forced to spend less time with patients and more time following bureaucratic rules and struggling to collect payments. I do not feel that I can be an effective physician spending 10 minutes per visit with my patients. Direct Primary Care (DPC) is a little bit old fashioned. Doctors provide services like physicals, preventative check-ups, illness and injury visits, etc. and patients pay them directly. There is no third party between patients and doctors to interfere with good medical care. Once you start eliminating insurance company bureaucracy an amazing thing happens: costs go down, patients have time with their doctor and doctors can really get to know their patients. This is why I went into Family Medicine in the first place. Can I afford membership in Summit Primary Care? Yes! Most DPC patients save money compared to what they have traditionally paid for healthcare. The monthly fee is very reasonable, usually about the same as a cable or cell phone bill. Patients typically (and are encouraged to) carry catastrophic or “wrap-around” health insurance which ends up costing much less than their previous policies. Best of all, there are no hidden costs with DPC. You will not be charged a co-pay for physicals, office visits, email questions, video “Skype” visits or phone calls. Even most basic labwork and office tests are included. Our prices are listed on the Pricing tab. If you have questions or concerns, please reach out to us directly by using the Contact tab. We will be happy to answer any questions by phone or e-mail beginning July 6th. No. I would have gone “concierge” years ago if this is what I was looking for in a career. I would never practice in a model that excludes the vast majority of people. In the concierge model, patients pay doctors a typically exorbitant additional fee and their health insurance is still billed for all services. In DPC, patients also pay doctors directly but there is no insurance billing and no dealing with insurance bureaucracy. Consequently, overhead for DPC doctors is less and the model becomes affordable for the majority of patients. And the best part… DPC practices are able to carry smaller patient volumes and therefore patients get the same improved appointment access, longer appointment times and enhanced communication enjoyed by concierge patients with no additional cost. I’m very healthy. Can I pay per visit? No. Currently we are set up to only accommodate a membership model without “a la carte” services. We are delighted when our members enjoy good health and do not need to see a doctor very often. If this applies to you, look at the membership fee as a means of maintaining your good health, having a doctor available for questions or concerns and having access to discounted ancillary services such as nutrition consultations or acupuncture. Are there any contract commitments? Can I cancel? We will ask you to commit for a one year period. If you cancel, we ask that you give us 30 days notice. We will not be able to re-enroll you as a member for one year and you may need to go on a waiting list for membership. Will the membership price ever increase? Maybe. Summit Primary Care is a business like any other and we will always need to look at our costs. However, the goal of DPC is to make Primary Care affordable and accessible so we are certainly not looking to gouge our members. We will guarantee our membership prices for a full calendar year. As a current patient of Dr. Keller’s, am I guaranteed membership in Summit Primary Care? Unfortunately not. The only way that a DPC practice can maintain its level of patient accessibility, customer service and high quality care is to limit membership. This will require me to decrease current patient volume by approximately two-thirds. Membership in Summit Primary Care will be on a first come, first serve basis. For this reason, please do not wait to sign up as a member. There will be a waiting list for interested patients based on the date of inquiry. The only exception to this will be babies born to a family already enrolled with Summit Primary Care. If I am sick or injured, how do I get an appointment? Summit Primary Care will have an Open Access model. If you are sick or injured, simply come in during office hours and we will be happy to see you. We plan to have flexible hours that work with your schedule. We will even be open for walk-in appointments during the lunch hour. In order to make the Open Access model work, we do ask that our members schedule appointments for routine visits, such as physicals or follow-ups. Will there be anything new or different about Summit Primary Care besides the DPC model? We are so glad that you asked that! Without insurance companies telling us what to do, Summit Primary Care is free to innovate and act in your best interest. Traditional medicine can be more effective when paired with alternative or ancillary therapies. We are planning to include, at lower cost to our members, access to Nutritionists, Chiropractors, Acupuncturists, Psychologists, Physical Therapists, and other providers. These specialists will be available on selected days in our office. I have chosen them based on their exceptional knowledge and dedication to their patients. Additionally, we are planning to offer group wellness visits covering topics such as stress management, exercise strategies, weight loss, etc. These will also be available at an affordable cost to our members. 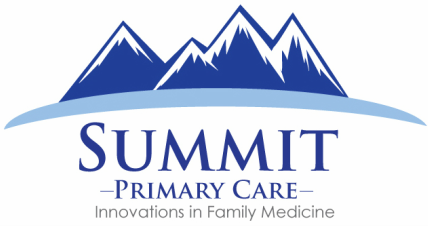 What about emergencies or care required outside of Summit Primary Care? ​1. Contact us if you are interested in Sedera Health, a medical cost sharing community that integrates with the Direct Primary Care model. 2. We strongly encourage all of our members to carry catastrophic or “wrap-around” insurance coverage for care that may be required outside of our office. We have partnered with a local insurance expert, Neal Gold, who can help answer your questions. Neal can be reached through his website, mobile phone (303-818-0321) or e-mail (neal@goldhealthandlife.com).